Photography by Paul Wilkinson Photography Ltd. Celebrate in style and ask Merlin Fireworks to enchant you and your guests with magical Wedding Fireworks on your Special Day. Merlin will do everything possible to present a beautiful firework display at your Wedding reception. Merlin will visit your reception venue to first assess if a display is possible and which firework types and sizes are safe and most appropriate. .
All Merlin Wedding Firework Displays are bespoke designs to suit the location and our clients requirements. We are keen to incorporate your wishes with Colours or style of display. We can even design a display to music of your choice. Our Wedding Display costs usually range from £1,200 to £3,000 but can start from as little as £1,000 while more lavish displays can cost in excess of £10,000. Our prices include initial site visit, all fireworks, all of our professional services, comprehensive insurance and VAT. We never forget how important this day is to you, your partner and your guests. As a professional and specialist display company our displays are set up and fired by experienced and qualified technicians and we provide full H&S documentation to all of our venues. 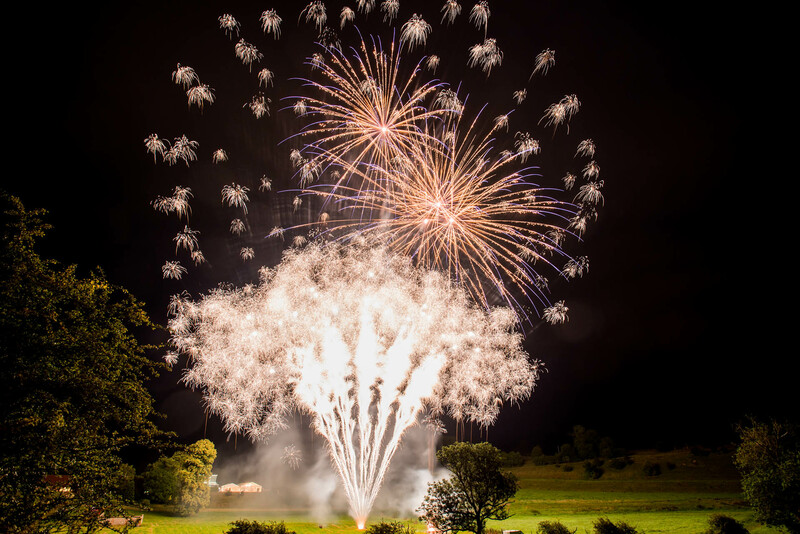 We are delighted that many of our Wedding Clients are now asking us to help celebrate their Wedding anniversaries ten years or more after their original Wedding Firework display. If you would like to discuss having a professional firework display at your reception or would like to receive a copy of our Wedding Fireworks Display Brochure then please call on 0800 389 1694 or send your postal address to Merlin together with the date of the Wedding and the name and address of the venue. 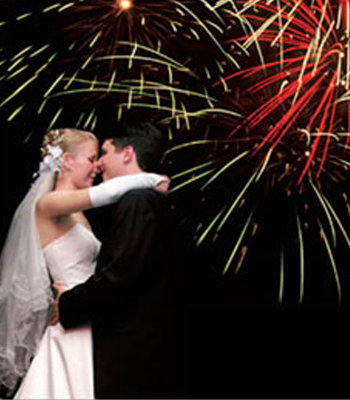 We have been providing spectacular Wedding Firework Displays since 1998. Take a look at some couple’s feedback here. As a Safecontractor accredited Company and with our team of qualified and experienced Firework Display Technicians you and your venue can be confident in our service and professionalism.